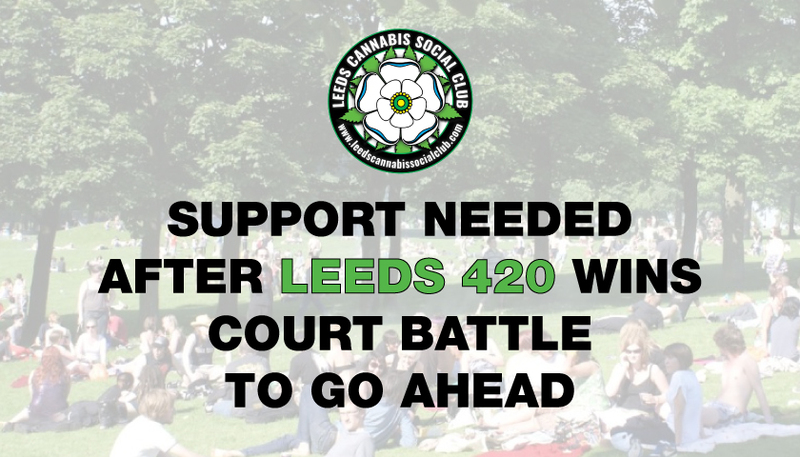 Wednesday 18th April 2018, Leeds Cannabis Social Club were summoned to a county court hearing after the groundskeeper of Hyde Park filed to have an injunction put on the club in order to prevent them from holding an annual 420 protest and celebration. 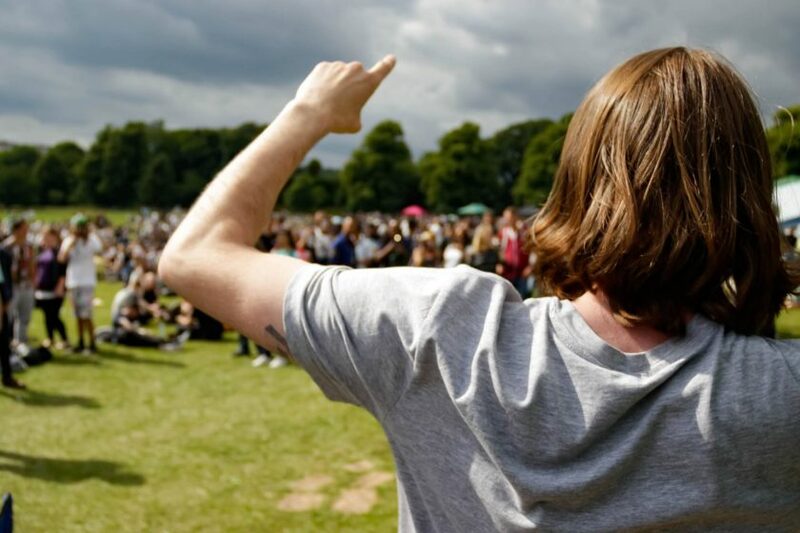 Each year, hundreds of cannabis enthusiasts congregate in Hyde Park, Leeds, otherwise known as Woodhouse Moor, to light up a joint at 4:20pm as a protest against current drug policy. It is a movement that has spread from American Cannabis Culture and has permeated Britain over the last decade, where it has become a very fond time of year for the subculture on our little set of isles. Patients and cannabis consumers are making sure that the eventful day is not taken for granted! 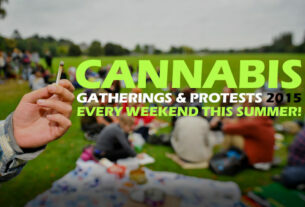 But not everything was a cause for celebration the week leading up to the 420 countdown. A court order was made on 13th of April and a letter sent with it to the Leeds CSC stating that there was no opportunity to speak with them beforehand as they were away on the 16th and 17th meaning no contact could be made to discuss the matter prior. “It’s a tradition people just turn up even if they know don’t about the movement” said the Leeds Cannabis Social Club, in shock at the news. 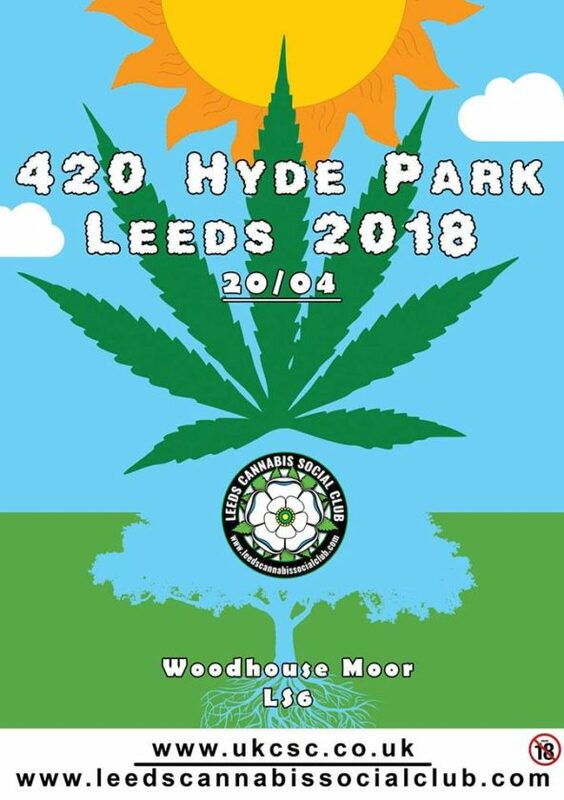 “I am contacting you to inform you that there is a hearing at Leeds County Court on Wednesday 18 April 2018 at 10am to hear an application by Leeds City Council to obtain an injunction preventing the event on Woodhouse Moor (Hyde Park) known as the “420 Cannabis Event” on Friday 20 April 2018. The papers for the event are attached. This is the first time any council has tried to impose legal action against 420 or any cannabis protest in the UK for that matter and it is a triumph over clear paranoia and an overuse of the laws that are made to protect people not hinder their freedom of speech. Inside, the attached papers detailed the case that was trying to be brought against the gathering of assumed civil disobedience and accusations of criminal damage and trespassing that had not yet occured. 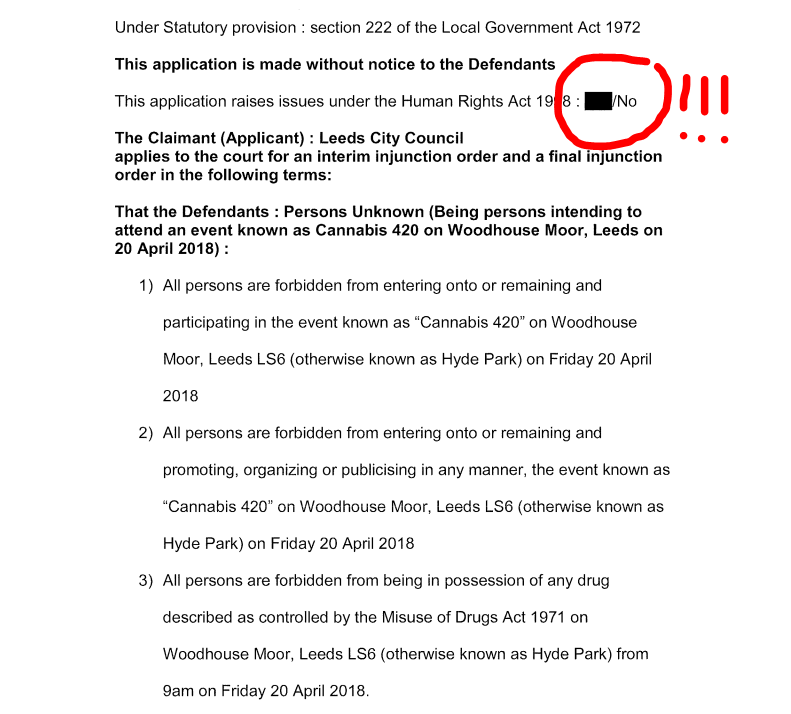 4) The Claimant believes that a further event is due to be held on Woodhouse Moor on 20 April 2018 between 2pm and 6pm, organised by the Leeds Cannabis Social Club, at which it is expected at least 1500 people will attend and who intend to engage in the consumption and supply of controlled drugs. lt is believed that the organisers of this event will take possession of parts of the land and erect temporary structures upon it, such as tents, stalls, gazebos and platforms for playing music. No permission for this event has been given by Leeds City Council nor would it be given due to the unlawful nature of the event. Any person engaged in organising this event or participating in this event will do as a trespasser on the land. Quite where the council have got the idea from that the protest will have “the supply of controlled drugs” is a question yet to be answered. “People just come out for a day in the sun, how can we be responsible for what they are doing” added LCSC. While the protest has not applied for a permit the community does not feel it needs one in order to express their feelings for national policy that is carried out with use of their tax money and which hinders their everyday life and existence as a resident in Britain. The land is a public space and as such falls under the Open Spaces Act 1906. The council were asking for full support from the County Court to order the police to arrest anyone that turned up to Hyde Park even with the intention of supporting the protest. Talk about the thought police! What is more, the council do not believe they are in breach of Human Rights legislation. 1 – Everyone has the right to freedom of peaceful assembly and to freedom of association with others, including the right to form and to join trade unions for the protection of his interests. This overzealous route of action brings some large financial baggage with it. It is not cheap to try and get an injunction. With the cost of court time, barristers, and administrative fees it is likely to have run into the thousands just for this one hearing. A Freedom of Information request will be made on behalf of the people of Leeds to find out just how much was spent. Drug policy advocate and retired lawyer Darryl Bickler attended the hearing on behalf of the community on the grounds that this is a traditional assembly of disaffected citizens who have the right to protest. A supporting document was supplied by the Chief of Police which was not attached to the files received by Leeds Cannabis Social Club yet the papers they have received state that no evidence shall be accepted unless prior submitted. Quite unfair! 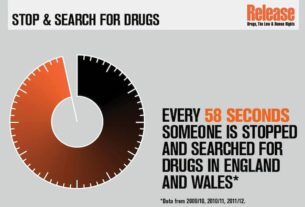 The document detailed that there was actually only about 4-500 attendees in previous years and there was no complaints of the supply of controlled substances – something the injunction application insists on. The hearing, which lasted over an hour, was quite detailed, Darryl Bickler informed us via phone as he was leaving the courthouse. “If i hadn’t have gone the injunction would have been granted” adding But the fact that I showed meant that the Council had to plead their case. The Council actually managed to file and get an interim injunction against the 420 protest in Leeds but the initial Judge was not happy that the defendants (who were not identified on the court application) had not even been notified which sparked the action of this second hearing. The first thing Bickler said to the Judge was “This is judging pre-crime, there is no proof that any of the accusations are going to take place”. The Council wanted to collect everyone’s names and addresses so everyone turning up could be appropriately dealt with in the courts – a preposterous and quite frankly huge waste of taxpayers money which surely the council should know better ways of allocating. “As far as I’m concerned the king and queens have bequeathed these parks to the people.” under the Open Spaces Act 1906. While Councils do have the responsibility to make sure people are safe in such open spaces, the Judge pointed out that there’s no need to go over the top to achieve such a goal in this kind of scenario. Still, we didn’t lose and 420 Hyde Park in Leeds is still going ahead as tradition dictates. “It might not be much, but it is a step forward in negotiating getting them to accept us as people, to put our ideas out and change things.” Darryl Bickler finished with. The judge opened up the possibility for the Council to go to the high court to appeal the decision but the likelihood of being able to pull that off in time now is slim. All they had to do was get in touch and ask what was going to happen. This is the procedure London Metropolitan Police have opted to take, opening friendly dialogue and engaging in civil negotiations – mainly because they have seen that pulling every spare officer from surrounding forces to police a cannabis event isn’t actually necessary. 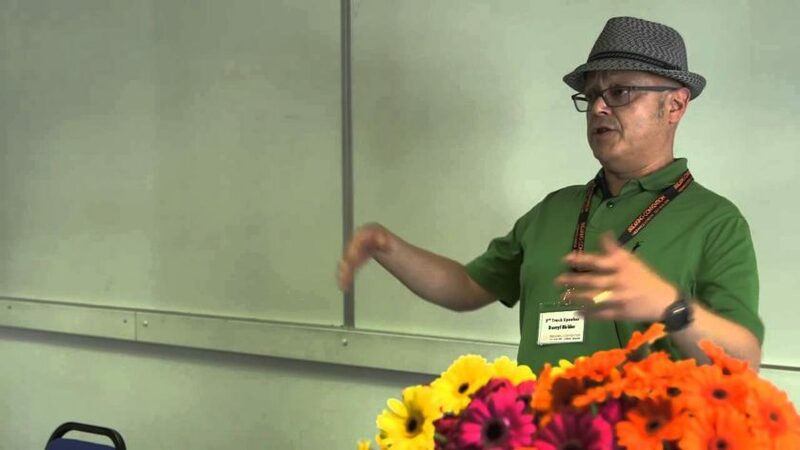 Greg de Hoedt, Chairman of the UK Cannabis Social Clubs NGO that is leading the campaign for sensible adult regulation and the right to grow at home had a strong response to the totalitarian action of Leeds Council. 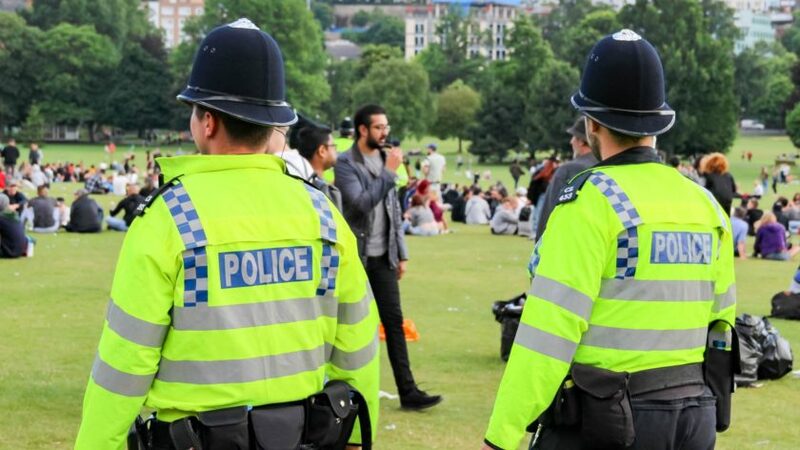 Green Pride hosted by Brighton Cannabis Club in 2017 saw the highest levels of policing at any UK cannabis event outside of London 420. Police search tents, dog units, police camera crews the lot. But it did not deter the club from turning up on the day and spreading more awareness about cannabis, its use as medicine and the damage prohibition does that comes with it. 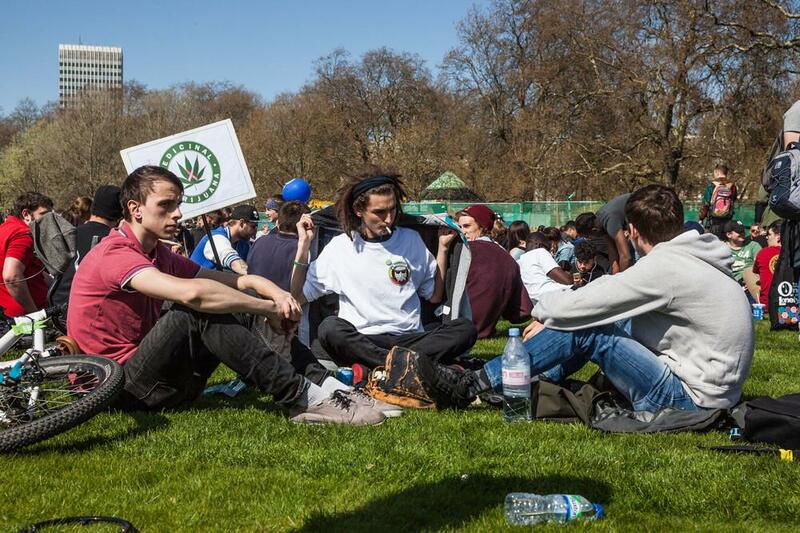 3,500 people still turned up and showed that a cannabis consumers are here to stay – we aren’t people the mainstream can hush into a corner anymore. “If you were thinking of travelling down to London for 4/20 and you are closer to Leeds – they need your support! We have London covered. Leeds is where the numbers are needed” Aggs Linscer, vice Chairman of Brighton Cannabis Club energetically told us when he heard the news. “It will be a great chance for them to find out about the unjust cannabis laws that prevent people from accessing a safe medicine that is proven to work and ordinary working people who just prefer cannabis in the evening over alcohol”. Please make sure you do not leave a mess, and anything you bring with you is taken away or disposed of in one of the bin bags that will be provided. Of course, this is a protest in public and the law is the law so be there at your own risk. Let’s show the council in Leeds, and the rest of the UK that taking community groups with disabled members to court for wanting to protest unjust laws is a waste of taxpayers money…just like prohibition itself.